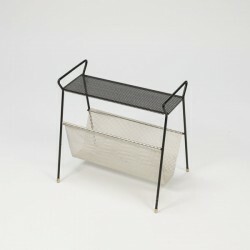 Nice vintage metal magazine rack from the fifties. 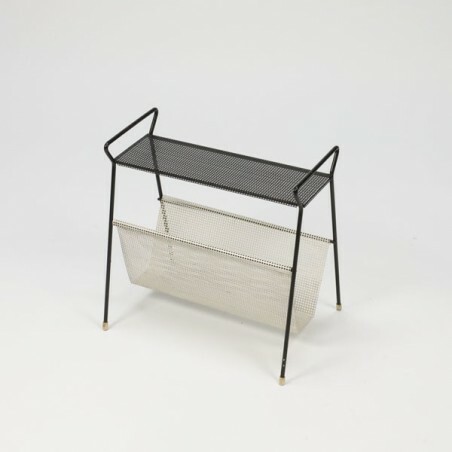 The rack is designed in the style of the Frence designer Mategot, and probably manufactured by Pilastro. 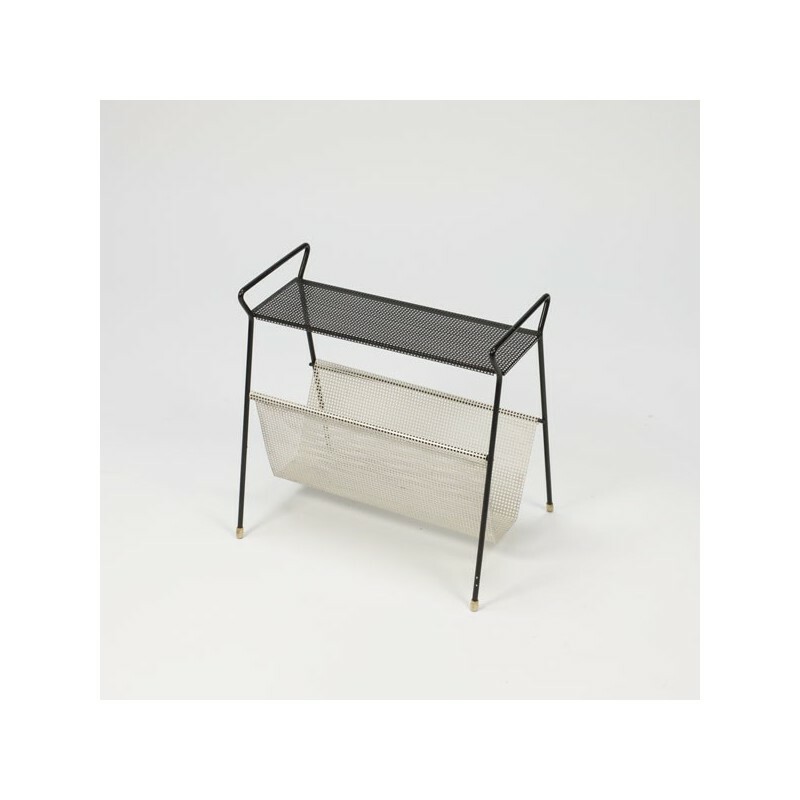 The colour is black/ white, the rack is in an good original condition.